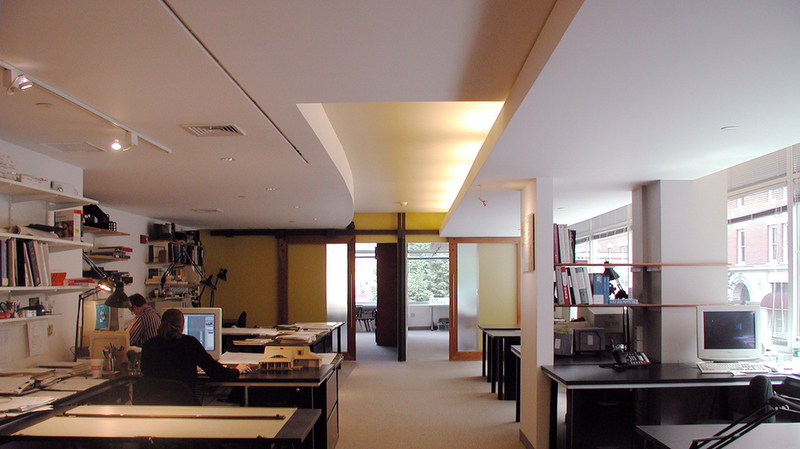 Occupying the second floor of a 1956 mixed-use structure, this studio and office was designed to take advantage of natural daylighting and the visual connection to the street provided by a continuous glazed wall along the long side of the slender space. The linear space at the edge of Boston’s Chinatown is layered parallel to the street, with studio and meeting spaces taking advantage of the continuously glazed perimeter while support and service functions are situated along an interior zone. Spaces and functions in the extended open plan layout are articulated by subtle variations in the modeled ceiling and shelving systems tied to the concrete structural columns. These spatial rhythms are reinforced by a carefully coordinated lighting scheme which also addresses particular lighting needs with indirect, task, and display lighting. 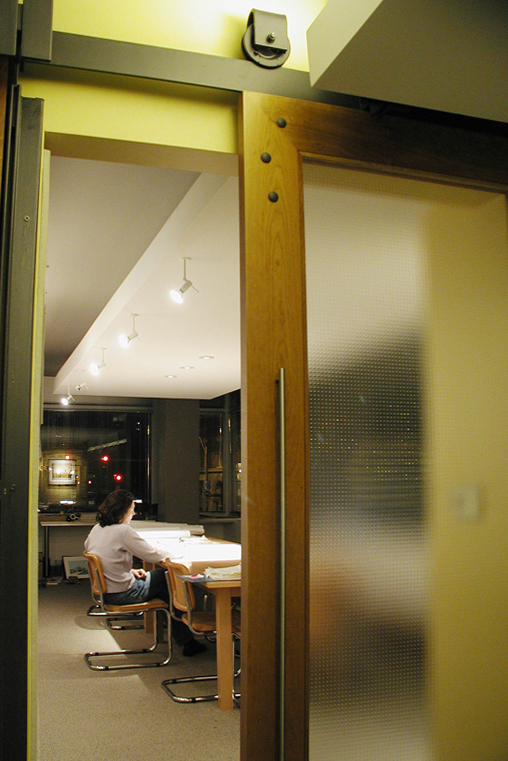 Sets of rolling “barn doors” provide flexibility in studio, meeting, presentation, and research space arrangements. These doors are comprised of cherry stile-and-rail panels glazed with cast obscure glass, hung from industrial rolling hardware. The exposed steel systems echo the substructure framing of the open parking decks above.